Cabaret style seating as well as regular theatre seating. Reserve a place in the cabaret section and a table will be reserved for you. 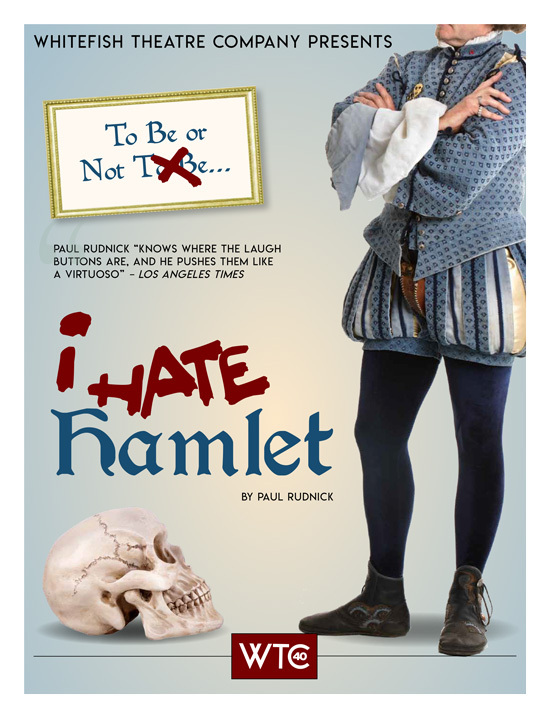 Imagine you are a TV actor with a career in limbo who has the chance to play Hamlet, live and on stage. One problem. You hate Hamlet. Renting an apartment that belonged to John Barrymore is no help, especially when the famed start--the greatest Hamlet of his time--arrives, in costume and intoxicated, to help you prepare for the role. His visit leads to a duel over women, art, success, duty, TV, and the apartment in this comedy with a Shakespearean twist.